This gathering is an opportunity to plug in to the blossoming energy of Summer with a group of supportive women surrounded by the glorious Mid Devon countryside. Summer is the season to celebrate relationships, connect with our heart’s desire and soak up the sun’s warmth. 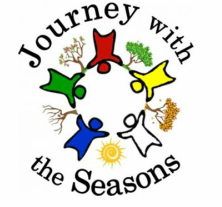 We will celebrate colour, flowers and transformation with some kind of creative activity, have a seasonal inward journey, eat some seasonal fayre and learn more about the Fire element within the Chinese Five Element philopsophy and how this links to challenges and opportunities in this season. We will gather inside initially and will be outside weather dependent. Hopefully we will celebrate the Fire element with a fire! Bring lunch to share and outdoor clothing as we will hopefully have a fire. A £20 deposit books your place, booking essential as places limited.